Given that I’m a big fan of magic, I couldn’t resist to see my fave Adelaide magic duo, Auslusion (Jace Wonders and Scott Stunz), present their fringe show “Alternative Reality”. Hosted within the beautiful Ayers House, which matched the magicians’ 1920’s personas, the show began with an intriguing animation which piqued the curiosity of many of the audience members. After the animation had finished, Mr Jace Wonders and Mr Scott Stunz then made their grand entrance on stage to the delight of the audience. This show was quite different to the Auslusion show I attended in Melbourne last year, which was more of a family based show with classic magic. This show highlighted the magic of the mind and the overall concepts of what is reality / what is illusion?! Is this the real life or is this just fantasy (as the classic goes)?! “Alternative Reality” is a show that features many mysteries, but also demonstrates some of the curiosities of the human mind. Wonders and Stunz were also keen to impress the audience with their mind manipulation and prediction skills, and impress they did in spades! Throughout the shows I heard gasps and hushed whispers of “no way! !” along with plenty of stunned facial expressions. Wonders and Stunz performed some truly unbelieveable feats! As with all Auslusion shows, there is plenty of audience participation with Wonders and Stunz taking very good care of their helpers from the audience. I thoroughly enjoyed this show as during certain points in the show, Wonders and Stunz would refer back to the title of their show. They did a fantastic job of taking their audience to another reality. Their amazing magic coupled with the setting and animation made me forget where I was, and that is one of the beauties of great magic shows – to immerse yourself and leave your usual world and life behind. Finishing on a high to raptuous applause, Auslusion’s finale simply made my jaw drop – I’ll be losing sleep over that one for sure! VERDICT: Definitely a magic show to put on your list this fringe. Enjoyable, entertaining and another solid offering of fantastic magic from Auslusion. This show is best suited to older teens to adults. 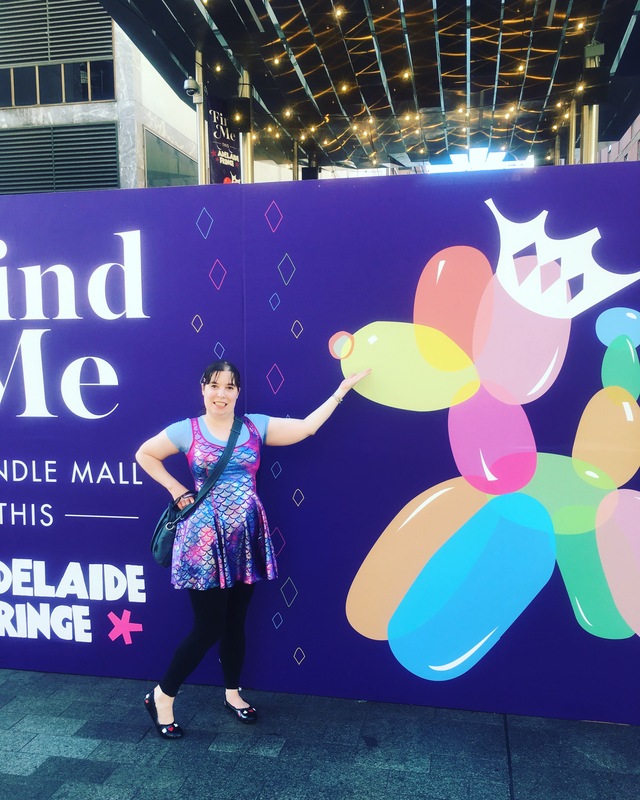 In late February, I was lucky enough to travel to Adelaide for a weekend and enjoy the second largest fringe festival in the world – the Adelaide Fringe Festival! 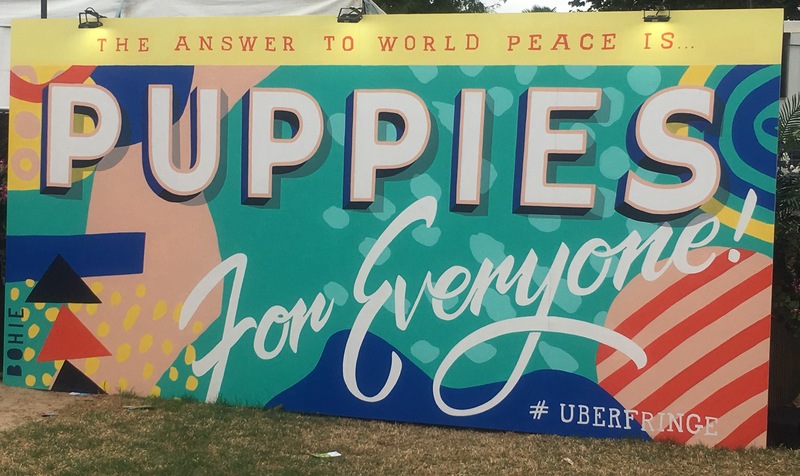 Adelaide itself is well set up for such an event: there are a multitude of venues spanning the city hosting shows, as well as two large garden spaces – The Garden of Unearthly Delights and Gluttony. Each garden area had the setup / feeling of a music festival, but instead of music there were various tents all set up for fringe shows. For those who’ve never been to a fringe festival, fringe itself spans many genres of entertainment: music, comedy, cabaret, magic, circus, vaudeville and variety shows and a hearty offering of shows for families / children. The spaces came alive at night with plenty of bars and snacks, rides, DJs and many interesting characters and performers roaming the grounds. The Garden of Unearthly Delights even had an old school ‘Freak Show’ tent which I thought was super cool. It was a feast for my senses, and I could hardly believe it had taken me 5 years to finally organise a trip (it was by far not the cheapest weekend away but one of the most fun). Across the weekend away, I saw 7 shows with one of my dearest friends who lives in Adelaide, went to the zoo, went to Rundle Mall and also visited the German town in the Adelaide hills called ‘Hanhdorf’. 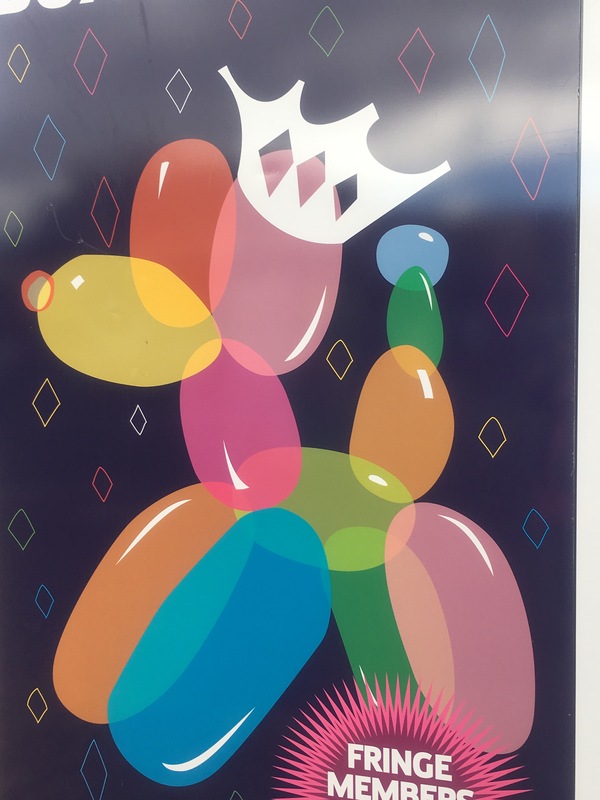 A bonus treat for me is that this year the Adelaide Fringe’s logo is a balloon dog! Given my intense appreciation for balloon animals, I could not resist attending this year (and yes, possibly taking as many photos as possible of any balloon dog logos I could find)! I will, of course, be writing about each show that I saw. If you happen to live in Adelaide or are considering visiting the Fringe festival I can heartily recommend it! The city really comes alive at this time of the year, and the weather is generally great. The festival is mind blowingly large and with a rumoured thousand shows on per day, I’m sure there is something on to suit everyone’s taste.